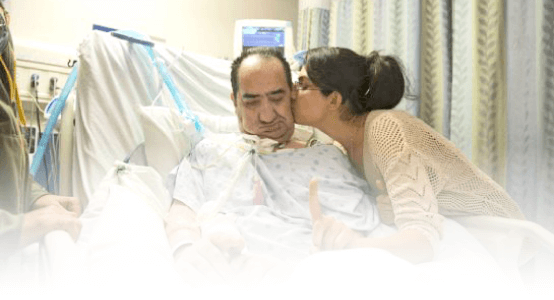 YOUR INTENSIVE CARE HOTLINE - THE 7 ANSWERS TO THE 7 MOST FREQUENTLY ASKED QUESTIONS IF YOUR LOVED ONE REQUIRES ONGOING MECHANICAL VENTILATION WITH TRACHEOSTOMY IN INTENSIVE CARE! The Ebook, Video and Audio recording are an absolute must for everyone who wants to make informed decisions, get peace of mind, control, power and influence if your loved one is critically ill in Intensive Care and requires ventilation with Tracheostomy! This is a critical piece in your knowledge and discoveries when it comes to ventilation with tracheostomy in Intensive Care so that you can finally make informed decisions, get peace of mind, control, power and influence! I’ll give it to you for free you only pay $27 after two weeks free trial! But I’m that confident that the Ebook, the Video and the Audio recording will blow you away and will give you all the answers that you’ve been waiting for! You get the Ebook, the Video and the Audio recording and I take the risk, because I’m so confident that the Ebook will change your, your family’s and your critically ill loved one’s life! is a critical piece of information if you don’t want the Intensive Care team to relentlessly pursue their own “hidden agenda”, but if you want to take charge yourself, if you want to improve the difficult, challenging and often desperate situation your critically ill loved one is in when they are on a ventilator with tracheostomy! It’s a critical piece of information that you must discover and that you must have if you want to rapidly get an understanding what you are really dealing with when your loved one is critically ill in Intensive Care and is ventilator dependent with tracheostomy! is a critical piece of information that you can’t miss if you want to make informed decisions, get peace of mind, control, power and influence quickly! It’s a critical piece of information that you must have if you want to understand quickly what you are really dealing with when your loved one is critically ill in Intensive Care and is ventilator dependent with tracheostomy! The Ebook, the video and the audio recording are really going to be an “eye opener” for you and you’ll look at the situation differently after you get a “fast track” education in the Ebook, the Video and the Audio recording! Why you need the Book, the Video and the Audio recording! 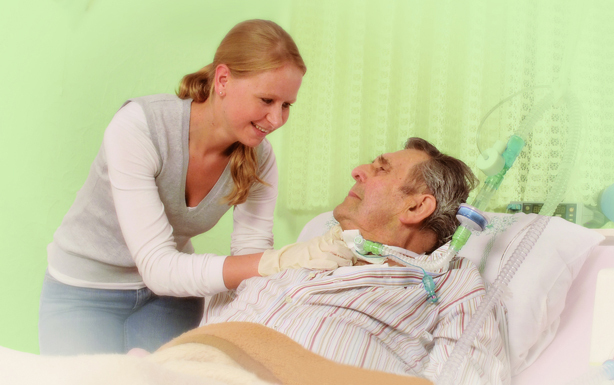 You’ll get all the answers and solutions that you’re after in how to improve your critically ill loved one’s situation! 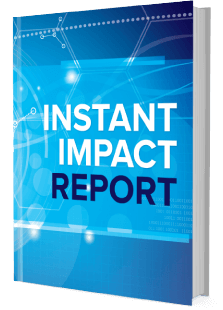 This Ebook, that comes with 1 Video and 1 Audio recording is giving you the insider knowledge and advise that you know you have been looking for! 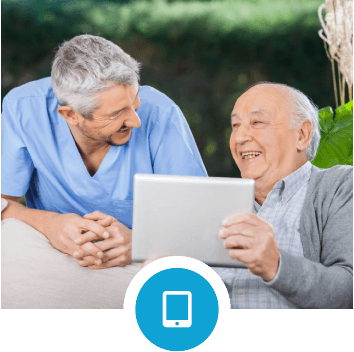 The Ebook, the 1 Video and 1 Audio recording is designed to get all your questions answered and give you solutions you’ve been looking for if your loved one is critically ill in Intensive Care and is ventilator dependent with tracheostomy! The Ebook, the 1 Video and 1 Audio recording is full of insider knowledge that helps you to understand what you and your critically ill loved one are really dealing with when your loved one is on a ventilator with tracheostomy in Intensive Care! In this “tell –all” and revelationary Ebook, you’ll discover what it really means to be on a ventilator with tracheostomy and you’ll get all the insider knowledge and all the secrets that usually only insiders have! 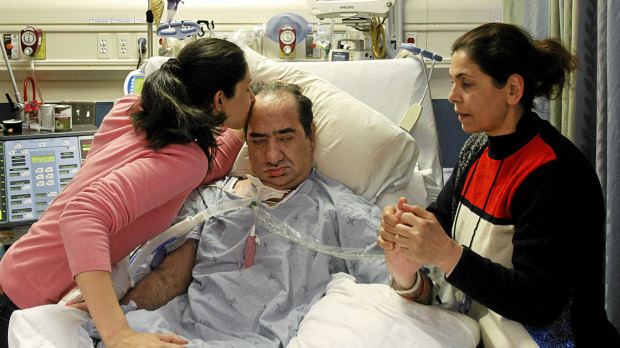 Will my loved one ever get out of Intensive Care because of the ongoing mechanical ventilation and the Tracheostomy and will my loved one ever be able to get off the ventilator? Will my loved one catch an infection because of the Intensive Care environment and the ventilator? How to position yourself powerfully and position yourself as an authority, irrespective of the challenges you, your family and your critically ill loved one are facing! How to change the perception that the Intensive Care team has about you and your family so that the Intensive Care team perceives you as powerful and different from the 99% of families in Intensive Care! (99% of the families in Intensive Care make no informed decisions, have no peace of mind, no control, no power and no influence! I’ll show you “the elephant in the room” that the Intensive Care team will never mention to you, but is ultimately shaping your critically ill loved one’s fate and destiny if you are unprepared! I will show you an “outside of the box” solution that can help your critically ill loved one dramatically and most Intensive Care units and families don’t have that one on their radar and it’ll be a “game changer”! Why your attitude, your outlook on life, your ability to make informed decisions, your level of peace of mind, the control, the power and the influence you have is the most important ingredient for you and your family to get what you want! How you can effectively deal with an end of life situation if your critically ill loved one is really dying and how you can make informed decisions, get peace of mind, control, power and influence in those challenging, difficult and heartbreaking situation! that comes with 1 Ebook, 1 Video and 1 Audio recording is a must if you don’t want to stand on shaky ground when your loved one is critically ill in Intensive Care on a ventilator with tracheostomy! It is something you must know if you want to successfully help and support your critically ill loved one and your family! It is also another stepping stone for you and your family to finally make informed decisions, get PEACE OF MIND, control, power and influence quickly! It’s another stepping stone for you and your family to change your outlooks and thinking about the situation your critically ill loved one is in, especially if your loved one is on a ventilator with tracheostomy and can’t be weaned off the ventilator! The Ebook, the Video and the Audio recording will help you tremendously when you communicate with your loved one, the doctors and the nurses in Intensive Care and it’ll show the Intensive Care team that you have insider knowledge and therefore the Intensive Care team immediately knows that you make informed decisions, have peace of mind, have control, power and influence! It’s the “secret” insider knowledge that you know you need in order to get the best possible outcome for your critically ill loved one! The Intensive Care team immediately realises that you speak the “secret Intensive Care language”, which they don’t expect and speaking the “secret Intensive Care language” will help you making informed decisions, get peace of mind, control, power and influence quickly! With the Ebook, the Video and the audio recording you will get massive insider knowledge fast and you have another “tool” in your toolbox that helps you to understand the complex world especially when dealing with the complex issue when your loved one is on a ventilator with tracheostomy in Intensive Care! No more guesswork when you’re loved one is critically ill in Intensive Care on a ventilator with tracheostomy! No more guesswork, pure facts and transparency from nearly 20 years Intensive Care nursing experience in three different countries, where I worked with literally THOUSANDS of critically ill Patients and their Families. I have also worked as a Nurse Unit Manager in Intensive Care for 5 years and I know exactly what’s happening in Intensive Care and I also know what’s happening “BEHIND THE SCENES” in Intensive Care! And here you can get the Ebook, the Video and the Audio recording for free and then pay only $27 after 2 weeks and you can try it for 2 weeks at my risk and you’ll only pay after 2 weeks of the purchase! I know that I can help you and that’s how confident I am that the information will change your and your critically ill loved one’s life! The value of the Ebook, the Video and the Audio recording are at least $1,000 and here you can get the Ebook, the Video and the Audio recording for free and then pay only $27 after 2 weeks free trial and you can basically try it for 2 weeks at my risk and you’ll only pay after 2 weeks of the free trial! You can try it out for free! If you don’t like it, if you think it’s not for you, send me an email and you don’t pay, period! No hard feelings! You get the Ebook, 1 Video and 1 Audio recording and I take the risk, because I’m that confident that the Ebook will change your, your family’s and your critically ill loved one’s life! Try it out for free here now! that comes with 1 Ebook, 1 Video and 1 Audio recording for free now!